Over the past year, we’ve added well over 250 testimonials from our customers to our “Thread of Awesomeness” here at Carrot. The “TOA” as we call it is a section in our internal company communication tool where our team shares awesome stuff our Carrot Inbound Online real estate investing website customers send us on a near-daily basis. That’s the kinda stuff we LOVE to see! 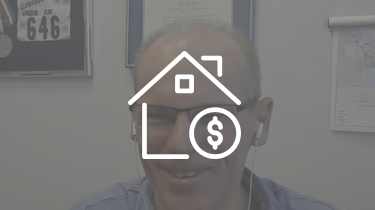 As you’ll see in the case study video with Josh of QuickHomeOffers below… that was just their FIRST deal from their online inbound marketing efforts for their real estate investing business. In their first full year as real estate investors Josh and his brother Adam closed 18 deals… and when I shot this case study with them in January 2015 they closed another 2 deals that month alone. 4 of those deals came from their SEO (search engine optimization) efforts through InvestorCarrot… totaling over $32,000 in gross profits! How’s that for an ROI? Their story is really inspiring, very real (Josh tells you what it takes to get consistent leads online), and will hopefully help push you over the edge to take action big time in 2015! And if InvestorCarrot is a part of your journey too this year… awesome! If not, we still love ya and will keep bringing you great content every week just like this. Take a demo of Investor Carrot Today! Online marketing and SEO, especially for motivated house sellers, isn’t quick and isn’t as simple as just putting a website online and sitting back. 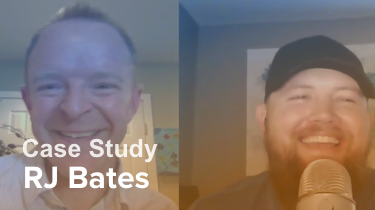 Josh dives into what they did to go from ZERO motivated seller leads to a consistent stream of leads in competitive markets with SEO. They bring in their deals with a mix of marketing. 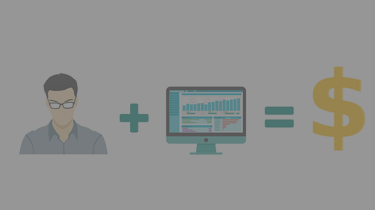 Online lead generation is just one part of it. So make sure you have a smart mix of online and offline marketing. If you’re an InvestorCarrot member, use this as inspiration to implement motivated seller lead generation through SEO leveraging the tool you have at your fingertips… our training… and support. You’ve got the exact same resources as Josh has. If you’re not an InvestorCarrot member yet and are curious to see if this can help you generate more leads online (motivated sellers, buyers, tenants, note sellers, etc. ), take our demo and check out what InvestorCarrot has to offer. Carrot members hold more page 1 and top 3 positions in Google for search phrases that attract motivated seller leads than any other website platform on the planet. Hey Todd! Ya we had a little glitch w/ Youtube out of the gate. All is well now though! Amazing! I just started my site and I have been doing SEO and getting out there but you guys really got this figured out. Great stuff! This is such a .motivating story, I cant wait until I got 18 deals under my belt! How to tweak the content? Did you outsource with using the copywriter or do it on my own? Hey Brian! They tweaked the content themselves. Just take a paragraph, read it and absorb what the overall message in that paragraph is about and rewrite it in your own words and you’ll be good to go. Go get it! I have been noticing that many of the top performing sites now have explainer videos. Since you can’t really tweak the explainer video for each page, is there something else you suggest when implementing explainer videos? Ya so the explainer videos prob aren’t really the reason for the ranking… but they definitely can’t hurt. You could record a few versions of it and then just pick one of those where it makes sense that way it’s not the same one on every page. I don’t think it’s really an issue even if you have the same one on every page as long as the other content on those pages is pretty unique from each other. It’s when Google sees the same video w/ content that is pretty much the same as another page that they won’t like it. Thanks for the reply Trevor, Ok so Im having a few different versions created that will have different lengths but the same general message. I think I may just create a different intro and leave the core video the same. Thanks for the suggestions! Oh by the way, I will be closing another Home Run deal from my carrot site. About a 60k profit on $1500 in adwords. But Im really encouraged by some of the SEO results other Carrot members are having. Im looking forward to a killer 4th quarter!